When going through the appeal process, you, the property owner, are appealing the assessed value of your property, not the tax bill. The amount of the tax bill is determined by the various tax rates that are applied to the assessment based on the levies of various local government taxing districts which include counties, townships, municipalities, school districts, special districts, etc. If the assessment increases, the change must be published in a local newspaper. Individual notices will also be mailed in some instances. Note: Tax rates are not an issue in the assessment appeal process, only the amount of the assessment. Once you receive the tax bill, it is generally too late to make an appeal for that year’s assessment. The assessed value is at a higher percentage of market value for your property than the prevailing township or county median level as shown in an assessment/sales ratio study. The primary assessment of the property is based on inaccurate information, such as an incorrect measurement of a lot or building. The assessment is higher than those of similar neighboring properties. A list of recent sales of comparable properties (including photographs, property record cards, and evidence of the sale prices). The first step in the appeal process is to talk to your assessor. Often times most issues can be resolved when talking to the assesor in person. If you are not satisfied with the outcome of talking to the City Assessor the Open Book Process is a time where you can come into the office and see how the value of your home stacks up against other homes that have sold within the City of Racine. This process is only available for a limited time (April through June). If you are not satisfied with the outcome of the Open Book Process you may present your case to the Board of Review. 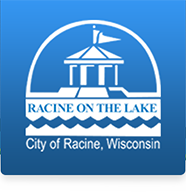 The board is made up of four members of the City of Racine and typically meet the second Monday in May and as needed there after. A property owner can file a written complaint with the DOR Equalization Supervisor. This appeal has several conditions. State the property being appealed is radically out of proportion to the general level of the assessments of all other property in the taxation district. This appeal process applies to either real or personal property. It is not available for properties located in First-class cities (Milwaukee). The appeal procedure is described under state law (sec. 70.85, Wis. Stats.). Appealing a Sec. 70.85 decision to a higher court. If the property owner finds DOR’s decision unacceptable, he or she can appeal to the circuit court. The court will review the DOR decision to determine if DOR made the proper decision. A property owner can appeal the BOR’s decision by requesting that the circuit court (in the county where the property is located) review the written record of the hearing (action of certiorari). If the circuit court finds any error in the BOR proceedings, it will return the appeal to the BOR. The court may also remand the appeal back to the BOR if it determines the BOR lacked good cause to deny the request for assessment reduction. The BOR must follow the instructions from the court when reconsidering the case. The court may order the municipality to reconvene the BOR if it has adjourned before the court’s decision on the appeal. If the property owner finds the circuit court decision unacceptable, he or she can appeal to the court of appeals. This court will review the facts of the case considered by the lower court to determine of it applied assessment law correctly. A property owner can appeal the court of appeals decision to the Wisconsin Supreme Court. However, this court can also refuse to hear an appeal and thus let the ruling of a lower court stand. The Supreme Court has the final word in the appeal process. At this level, the court reviews all the lower court records and may request written legal briefs from each party supporting its point of view. Once the Supreme Court makes a ruling, it becomes the official interpretation of the laws of the state. What if I don’t agree with my assessment? Talk with the assessor. During this informal session you can learn how your assessment was made, what factors were considered, and what type of records are kept regarding your property. After this review, if I still think the assessment is incorrect, what can I do? You should arrange to appear at the Board of Review. The City Clerk will provide you with an objection form that you must complete. You will then be scheduled for a hearing at the Board of Review. The Board of Review is made up of citizens appointed by the Mayor and approved by the Common Council. It is the Board's duty to hear evidence by the taxpayer and the assessor and to decide if the assessment is correct. State law puts the burden of proof on the property owner to show that the assessment is incorrect. Keep in mind that your evidence must be strong enough to prove that the assessor's value is incorrect. Only relevant testimony given at the hearing will be considered by the Board. STATING THAT PROPERTY TAXES ARE TOO HIGH IS NOT RELEVANT TESTIMONY. You should establish in your own mind what you think your property is worth. The best evidence for this would be recent sales prices for properties similar to yours. The closer in proximity and similarity, the better the evidence. Another type of evidence is oral testimony from a witness who has made a recent appraisal of your property. The Board will mail you a notice of its decision. If you do not agree with the Board's determination, the notice will contain information on how you may appeal the Board's decision. Though the value of your property affects your share of taxes, the actual amount you pay is determined by the budget needs of the schools, city, county, technical college, and state reforestation. Although your tax payments are made to the City Treasurer, a large share of your tax dollars are turned over to other governmental units such as the schools, county, technical college, and the state.